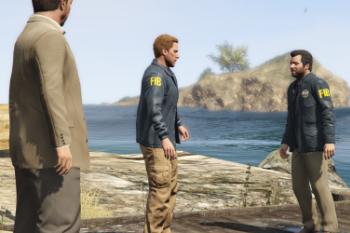 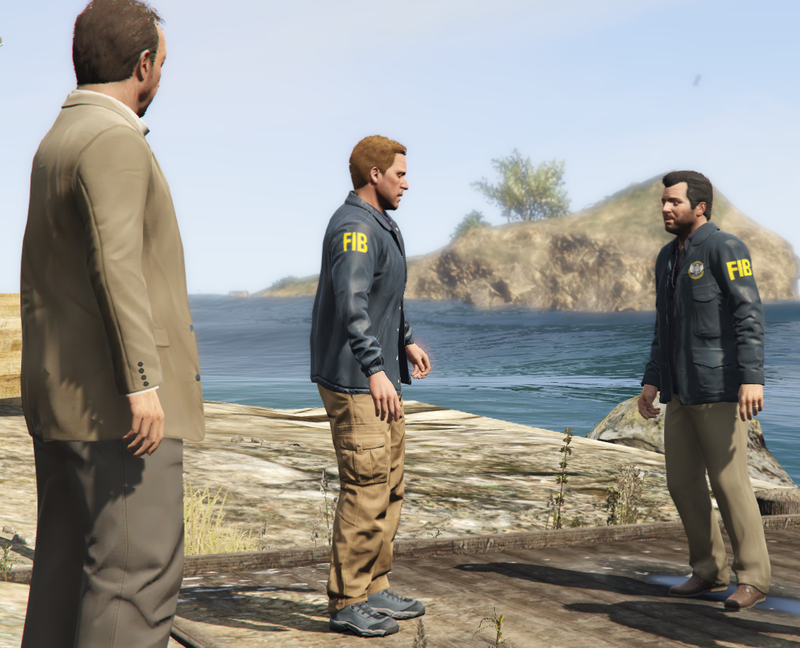 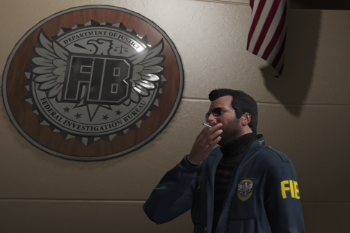 Michael is a FIB Officials ! 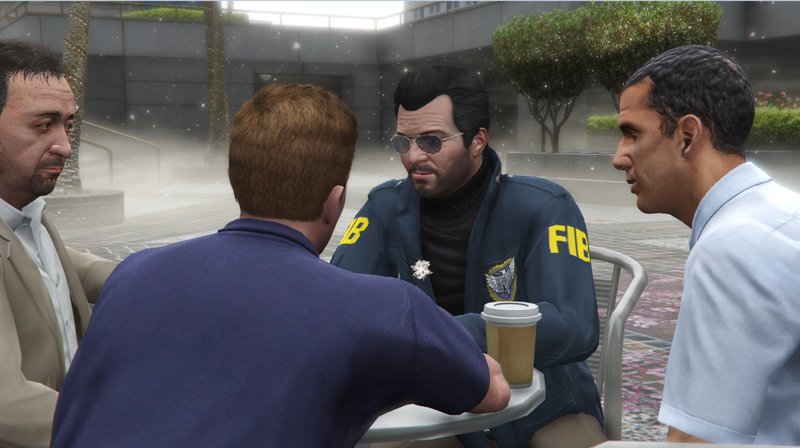 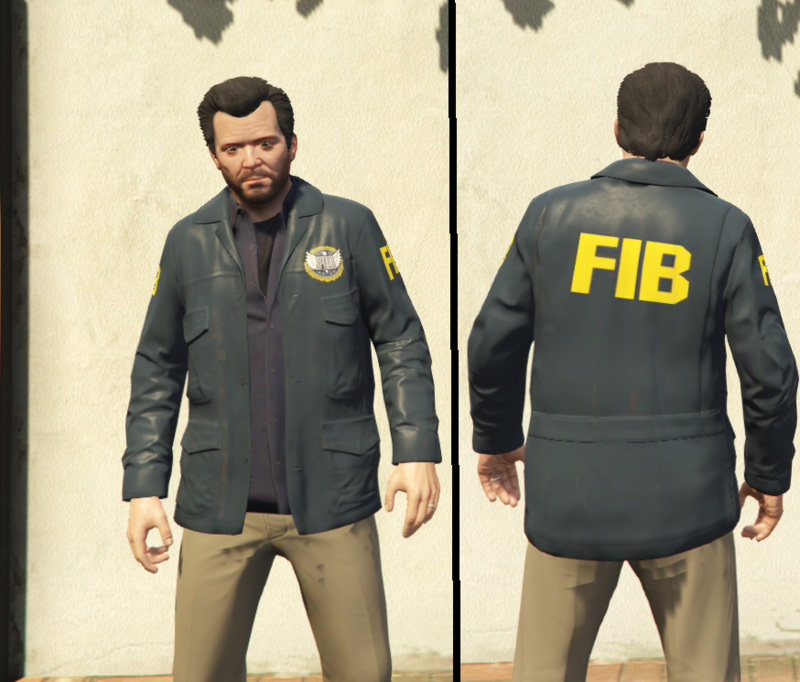 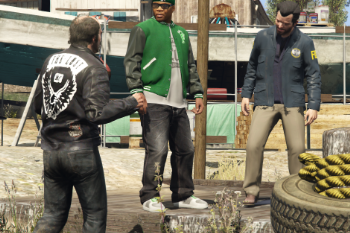 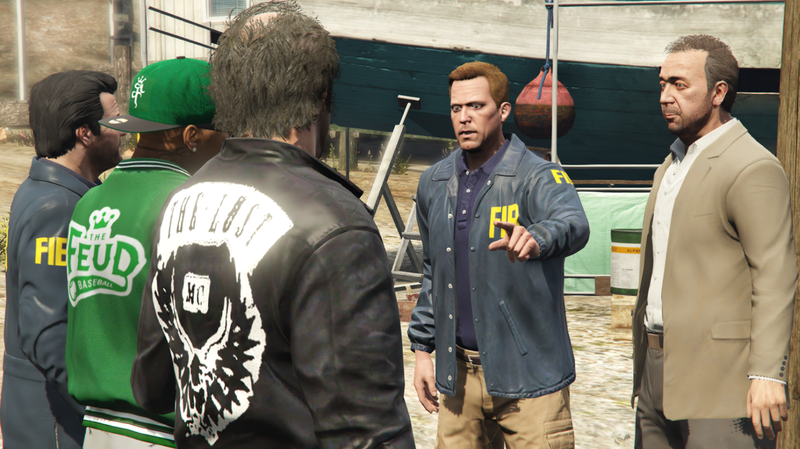 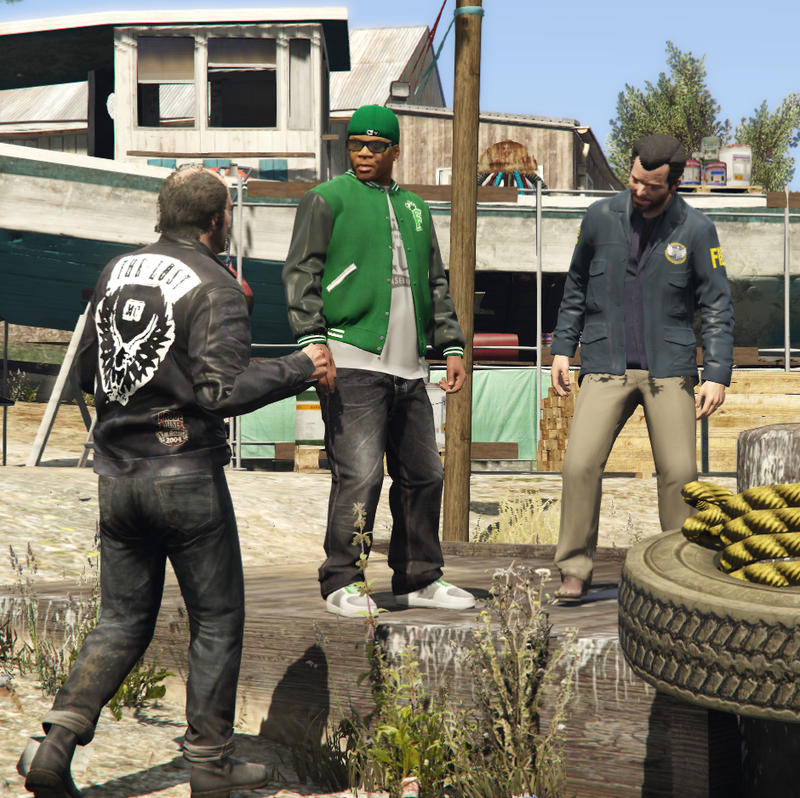 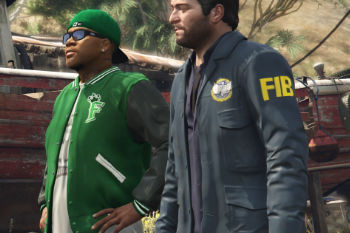 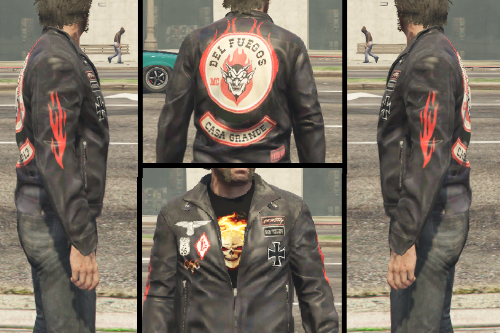 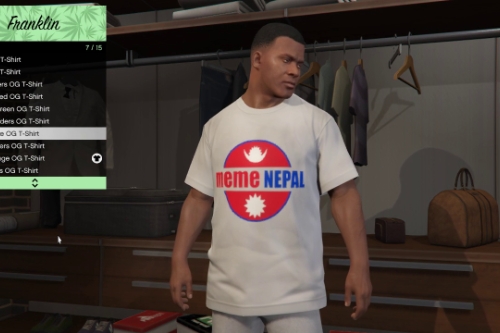 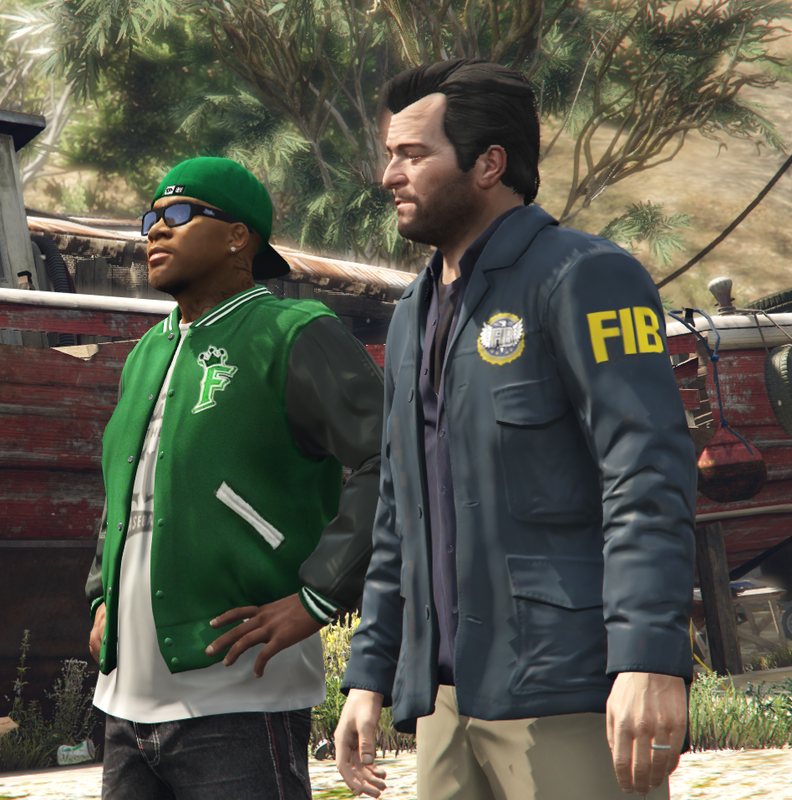 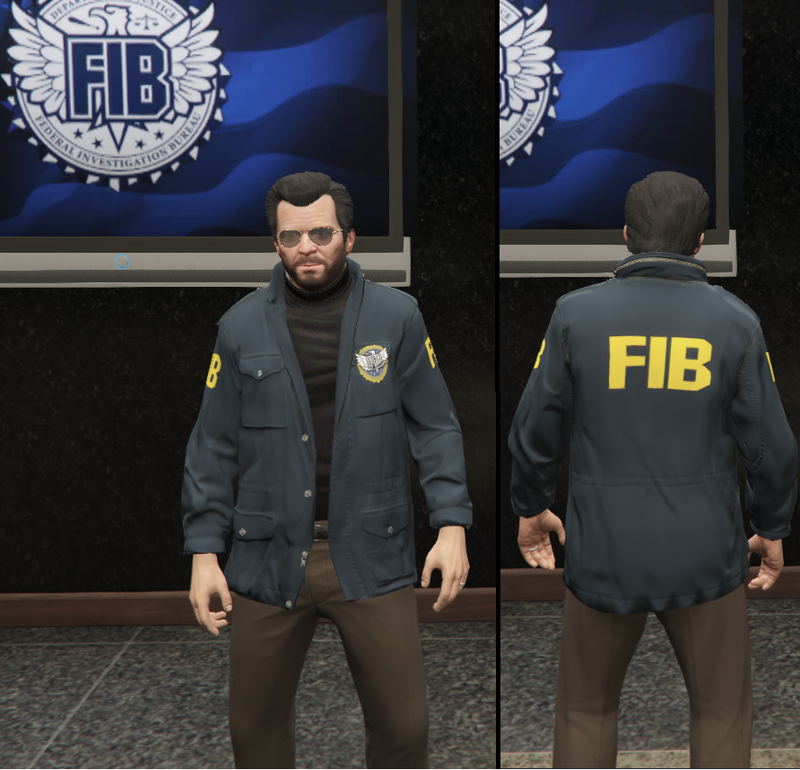 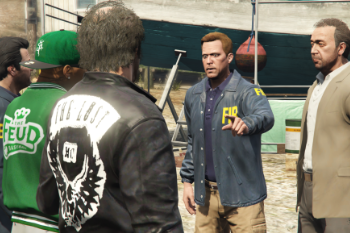 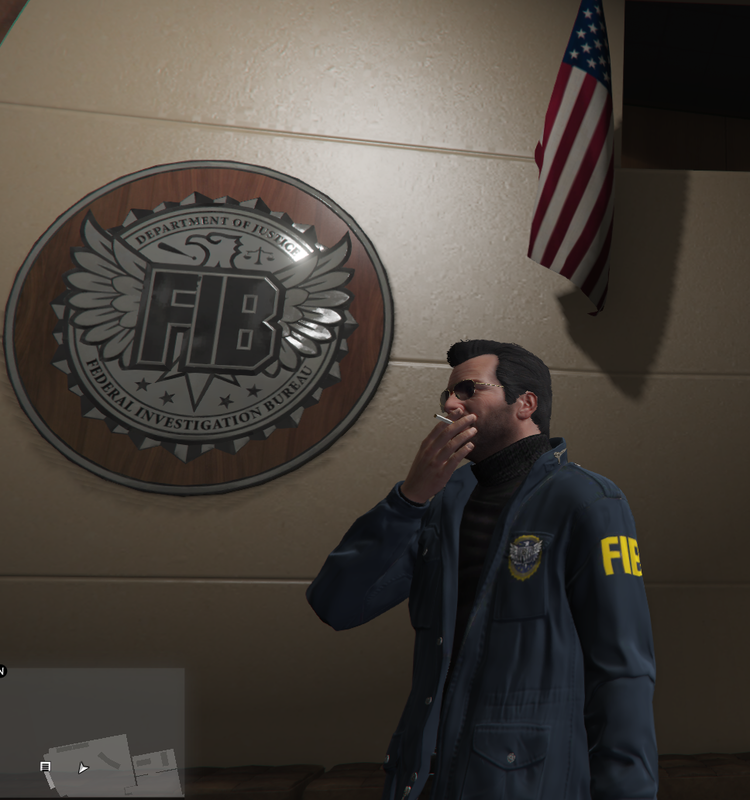 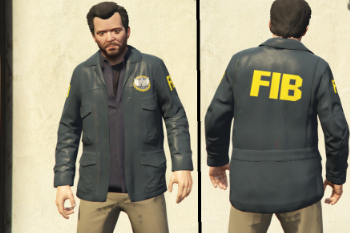 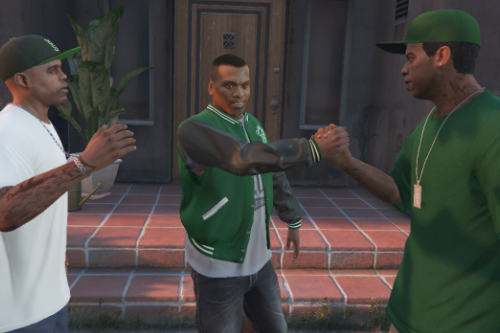 It looks pretty good, aside from how the FIB logo/shield awkwardly layers over a pocket. 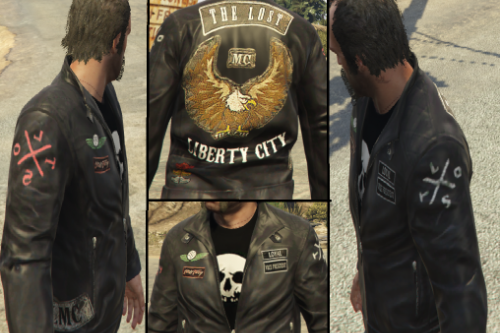 You can see the pocket's folds on the model under the label. 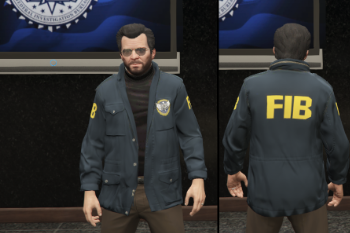 You'd be better off listening to @PartyPandazz and making the logo into FIB lettering along the pocket - It would fit the jacket model better and not look so painted on//fake.